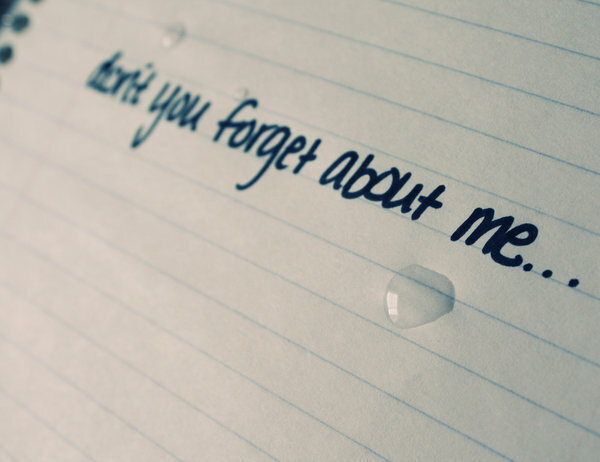 You know that line, ‘don’t forget about me when you get big’, has been one that I’ve heard a lot in recent years. It shows that people have high hopes for me as much as I have high hopes for myself. It also means that they don’t want to go unrecognized when it comes to when I’m on a platform recognizing others for helping build and shape the man I’ll be at that particular time. It’s true that no matter which way, large or small, people have some type of a role that they contribute, whether it be direct or indirectly, but I often wonder about why that line is said; why people feel the need to reach out and remind you that they were there from ‘day 1’ as a supporter. Do they want something? Majority of the time, that’s exactly what will happen. People will always want that line of communication so that when there’s a certain situation or a favour that comes around, you’ll be there because you ‘didn’t forget about them.’ In life, you’re taught to have a free mind; to think for yourself, but at the same time, to think of others. So in essence, we’re taught to be selfish and selfless at the same time. I always look at lottery situations when I hear the line, because if you think about it (and everyone does), if you won the lottery, you’ll find yourself having a flood of people come to you because you were ‘obligated’ not to forget about them when you have more, and they have less. I find it fascinating, and although it may come to be that when you acquire your own personal financial freedom, you too may have the people coming to you squabbling over money that you have, because you can afford to share. Who’s more deserving than the other? I was brought up to respect the phrase ‘family is what you make it’, and that doesn’t necessarily include blood. Scientifically, blood makes you family, but truthfully, you may have friends closer to you than family, and then there are the odd occasions where friends, mentors, and/or teachers, have made a strong impact in you so that they become like family to you. The odd people whom you speak to here and there may feel that they have a connection with you because they’ve seen your progress, but if you’re not directly helping advance the progression, how do you think you’ll be in remembrance? Athletes and rappers have the common stories of ‘putting on’ for their families and friends because when 1 person makes it, everyone else does, and as a provider, it’s true. When the people who’ve helped take care of you to help you succeed, see your success, it’s only right to bring along those who’ve helped you. This is why you hear anthems and phrases like ‘no new friends’ and ‘my day ones’ constantly, because it’s a reiteration of just exactly who matters. Not everyone who comes in contact in your life has the rights over others to receive a benefit out of you. People you haven’t heard of in your life come out of the woodwork to get a slice, because they have an affiliation with you somehow. Life and society has taught me that, if you have an advantage, people will try to use it for their own benefits. People will work to make their livings, but if they see an opportunity to create a fast piece of change, nothing will stop them. Greed really does empower mankind, and it’s been the downfall of civilization for thousands of years, and it’s been the reason why people can’t advance as a unit in the present day. Control your own surroundings; don’t let the surroundings control you.